Loss of data from a Word document can be frustrating often. It is not nice to lose hours of work due to a power outage or a system error that can compromise your document. 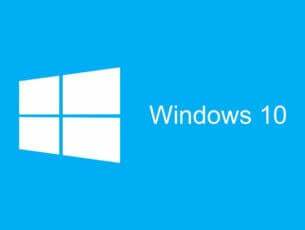 But Microsoft foresaw this problem and provided to the Office suite a few features for retrieval the information from a corrupted file. In this article we will show you how to find out if a file is corrupted and how you can recover the data from it. The occurrence of errors during processing. Wrong document layout and strange formatting. The system stop responding when you try to open the document. Introduction of unreadable characters in the text. Any other behaviour of the program, different than what you are used to. Do not rush to solve the problem with this file. These errors may be due and system (loss of DLLs, accidental deletion of a file and many more). 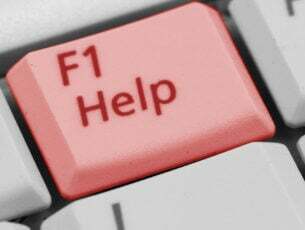 To ensure there is not an error of your system, try to use other programs of the Office suite and checks behave the same. Another method would be to install the entire suite to make sure that all files are installed correctly. If you have tried both methods and none has solved the problem then more than sure your file is affected. Find out what is your document template. Open the affected Word document. Click on the Word menu from the upper left corner. Click on the Word options button. Click on Add-Ins category from the left table. From the Manage menu select Templates category and click on the Go button. This command will show you what template is used by your document. Exit from the affected document. 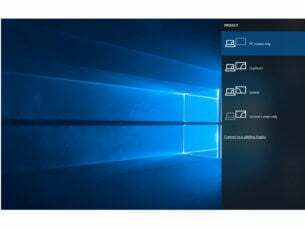 Open Start Menu and click on Run. In the Run window write this path %userprofile%\appdata\roaming\microsoft\templates. This path will guide you to the templates folder. Rename the Normal.dotm file to Old.dotm. Close the explorer and restart your computer. 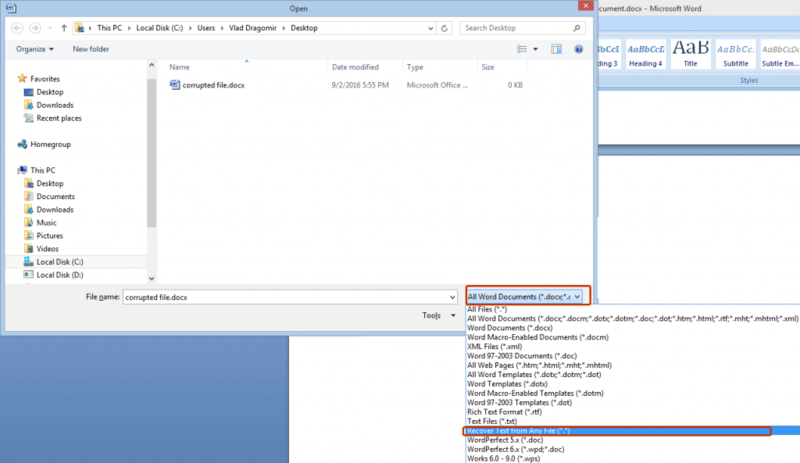 Select the Normal.dotm file from the Templates folder and click Open. Click on OK button to finish the configuration. Exist Word and restart your computer. After rebooting the computer, the problem should disappear and you should have access to the data from that file. Make sure that Word is closed. In the Run windows paste this command exe a/. Open the affected file and your problem should be solved. Click on Hardware and Sound / View devices and printers / Add a printer. In the Add Printer window, click on Add a local printer button. Click on the Use an existing port and after that click on the OK button. From the Manufacturer list select Microsoft. Click on the Microsoft XPS DOcument Writer button and after that click on the OK button. Use the recommended driver and click OK. Check the Set as the default printer box and click on the Next button. Click on the Finish button to end the configuration. Restart your computer and try to open the affected file. The problem should disappear and you will have full access to the information. Open the Word menu and click on Open button. 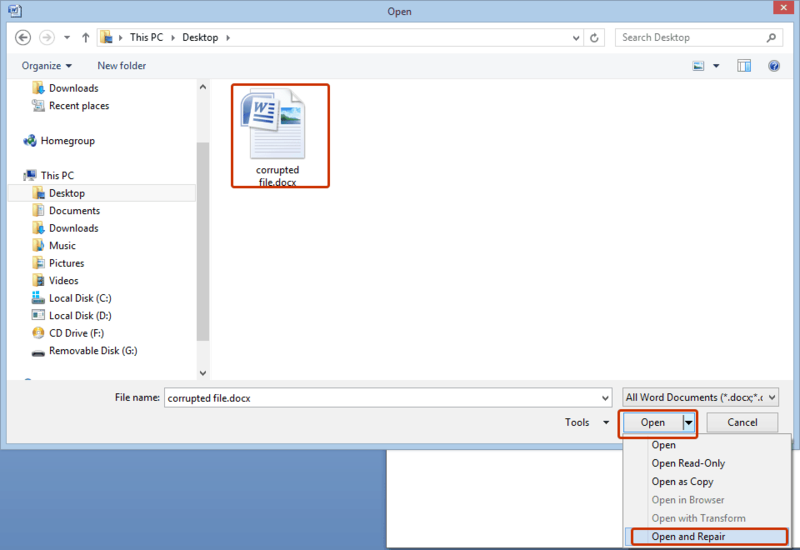 Click one time on the affected document and from the Open menu select Open and Repair feature. Open the Word menu from the upper left corner. Click on Save as button and select Rich Text Format (*.rtf). Open the Rich Text Format document and repeat the same process. The only difference is that you will not save it as Rich Text Format, you will save it as Word (*.doc or *.docx). If this method doesn’t work try to convert the document into Plain Text format (*.txt) or Web Page format (*.html) but in this case you will lose pagination and design elements. Create a blank document by clicking on New / Blank Document / Create. Copy the content of the damaged document. Press CTRL + END and after that press the CTRL + SHIFT + HOME combination. From the Home tab click Copy in the Clipboard group. From the View tab click Switch Widows button in the Windows group. Click on the new document created before. Press the CTRL + V combination to paste the content in the new document. Try to copy the unaffected structures from your original document to a new one. From the View tab click on Draft in the Document Views group. 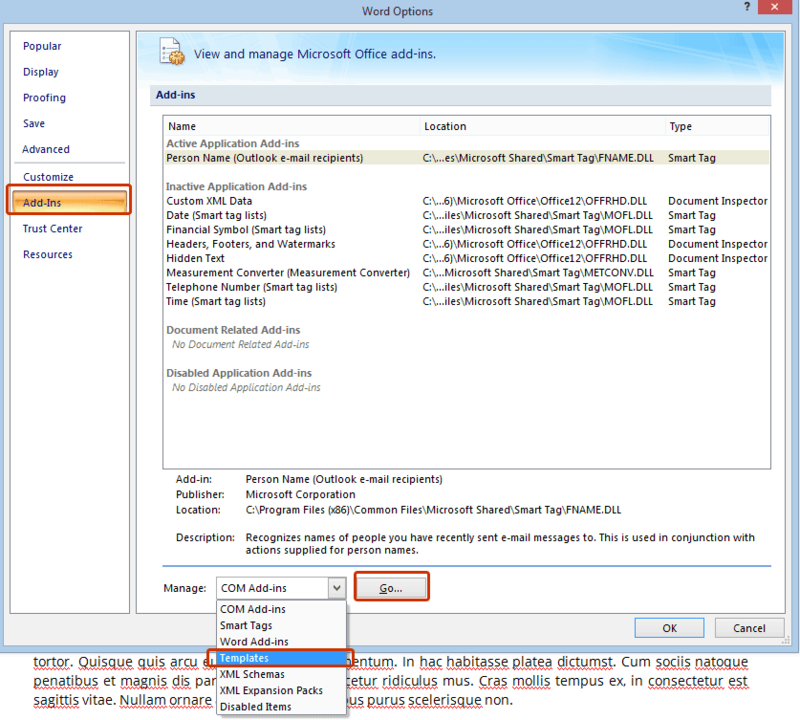 Enter in Word Options and click on Advanced. In the Show Document content section, click to select the Use Draft font in Draft Outline views and Show Picture placeholders. From the General section click to clear the Update automatic links at Open then click on OK button and close Microsoft Word to finish the configuration. This method is available only for Microsoft Office 2010. Open Word Menu / New / Blank document / Create. From the Insert tab click on the Insert Object button and after that click Text From File. 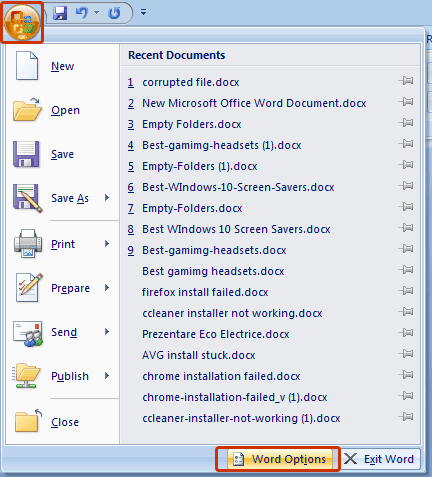 Locate the affected document and then click on the Insert button. Note that this function recovers only the text from a document. Pagination and design elements cannot be recovered. Click on the affected folder and from the File Type menu select Recover Text from Any File(*. *).